Does Dog Urine Kill Grass? Shocking Truth And Mind-Boggling! / Does Dog Urine Kill Grass? Shocking Truth And Mind-Boggling! You may have added a new member in your family just recently - a very cute, fluffy dog. As we all know, this popular pet requires proper and constant care. Training them to urinate (and defecate) is probably the toughest. It’s totally different from potty training in toddlers. Dogs don’t need any potty chair or the toilet for that matter. They are somewhat picky where to urinate too. However, the best area is outside and usually on the grass. Throughout the time you’ve managed to own a dog, there’s one thing you’ve noticed and started wondering. Does dog urine kill grass, leave spot or change the green color of your lawn? The answer is a big yes! Many people with dogs have experienced seeing yellow, brown or white spots on their grass. Some even had the worst – damaged lawn. 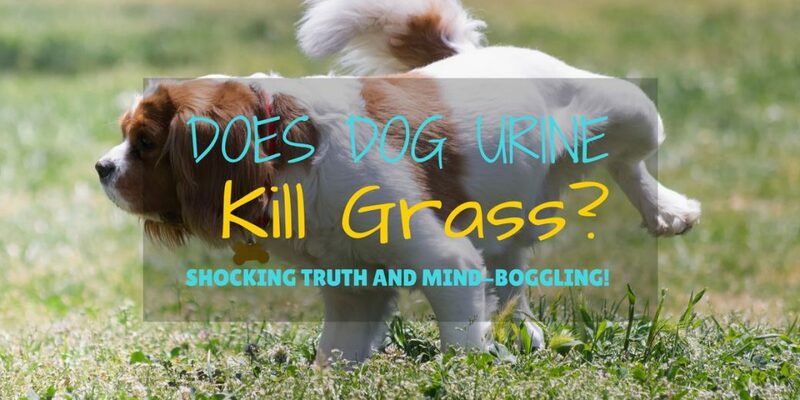 Urine of dogs can kill grass for a number of reasons. Like in humans, the urine of dogs is acidic. But this depends on the alkaline and acid pH levels of your dog’s urine. The higher level of the acid is, the more likely urine burns your grass. Because they don’t drink plenty of water like we do, the bodily fluids of dogs are not balance. This is a major culprit regarding the increase of acid level in their urine. Remember that water is important in diluting urine. As a pet lover, you probably want the best for your dogs. So how can you ensure that your dog’s pH levels are good? It’s very simple. If the urine is yellow in color, it is certainly high in acid. Otherwise, a sample of your dog’s urine must be submitted to a local vet for urinalysis. Nevertheless, there are basic home remedies to regulate the urine pH level of your dog other than making them drink lots of water. One is to add vitamin C to their diet. It can be juices of fruits or vegetables that have a high amount of vitamin C. Mixing some baking soda into their food is also one option. These do not only help in increasing alkaline over acidity in their system, but also make them thirstier. So don’t forget to provide them enough water in their bowl. Dogs are naturally carnivores. They eat meat and most dog foods have a high level of protein. The traces of protein are broken down and excreted as nitrogen in the urine. The excessive amount of nitrogen makes the urine acidic and causes a burning effect to the grass. This basically answers the question whether does dog urine kill grass or not. There are some home owners who fertilize their lawn. The regular use of fertilizers can greatly affect the health of the grass. In most cases, this gardening substance is loaded with nitrogen. Imagine how much nitrogen is released into your grass when both fertilizers and your dog’s urine are the causes. Another answer to the question does dog urine kill grass has something to do with the gender of dogs. Female dogs simply squat to urinate, but this position is the factor. When they “pee”, it enables the deposit of more solutes or particles from a concentrated urine to the grass. Plus, they urinate a large quantity in one location. In comparison, males release a smaller amount and they tend to wander from one spot to another. Does dog urine kill grass? Of course, we’ve established the answer to the question of the headline. The next question is what to do to avoid killing the grass from your dog’s urine? As mentioned previously, you can apply some basic home remedies. Let’s talk more concerning this. Diluting the urine through water consumption is the best solution. Encourage your dog to drink water from time to time, especially after eating their food and walking them out. You can also add extra water in their food by making broth. The more active your dog is the thirstier they become. This is another way to make them drink water and dilute their urine in the process. You can have them join you during your morning jog. Make them go down and up the stairs for a few rounds. Adding extra mile to their walk is also a great idea. It’s probably the right time now to watch out every food you give to your dogs. Switch to low protein dog foods. Make sure that they don’t take in a high level of protein to decrease the amount of nitrogen in the urine. A couple of the dog foods you can try are Natural Balance L.I.D. Limited Ingredient Diets and Purina Veterinary Diets. Does dog urine kill grass? Yes, but now you can answer no by simply applying the suggestions stated in this article. Do you want to add more tips? Have you had this experience before? Leave your statement in the comment section below!